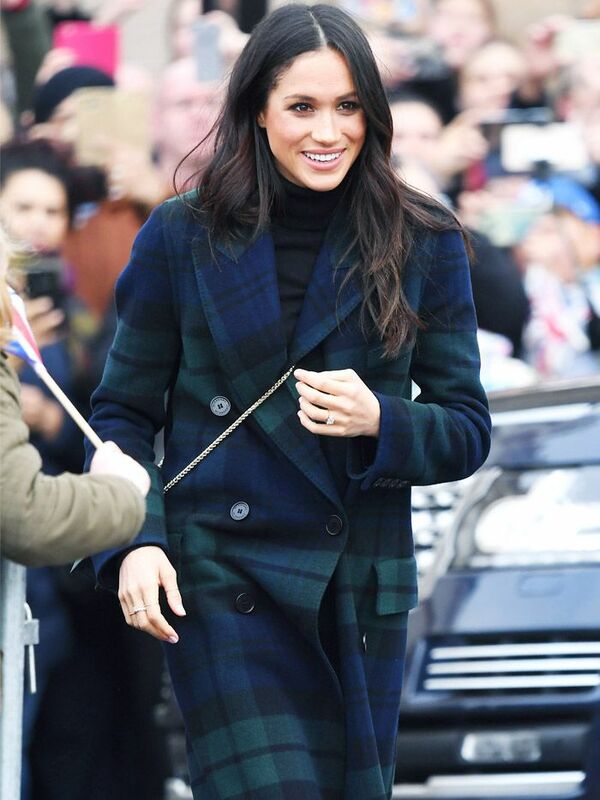 The duchess and Markle coordinated their outfits, both wearing blue dresses, though the Suits star proved she’s not about to change her style for her new public role. She wore a smart but relaxed sleeveless, belted satin wrap dress in navy by New York designer Jason Wu, which she paired with simple black Aquazzura heels with a black ankle strap. 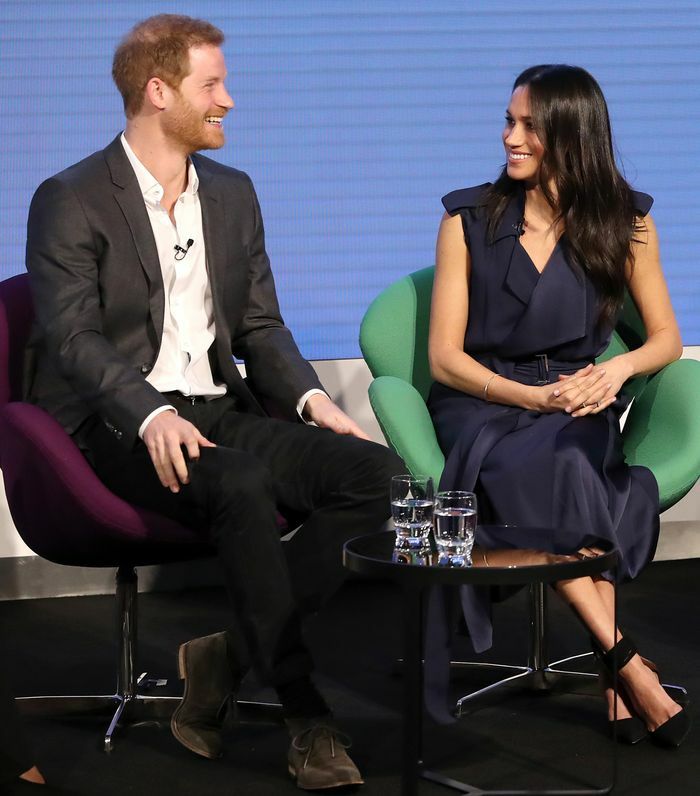 Meanwhile, the duchess wore a more conservative £99 sleeved royal blue dress with two black buttons at the waist by her favourite maternity label, Seraphine. Keep scrolling to see both dresses, and be sure to buy the Jason Wu piece before it sells out.